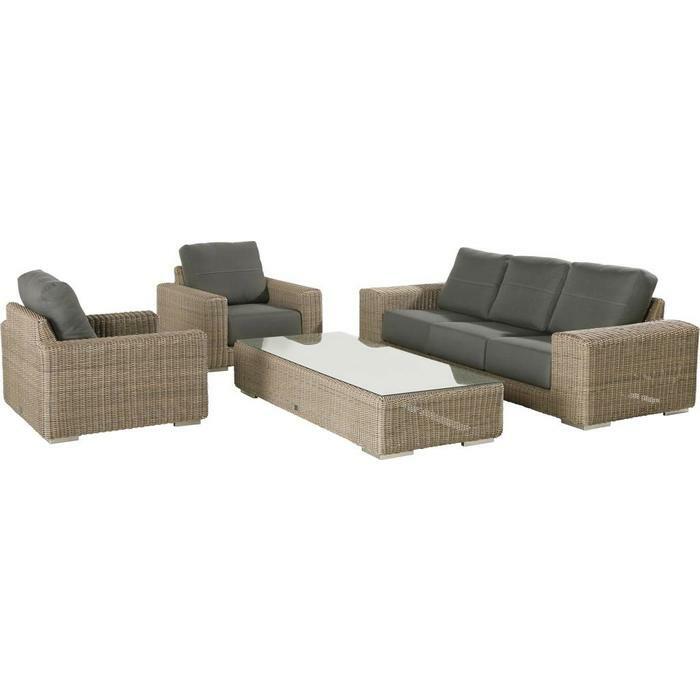 Evora rectangular XL 5 seat set with two coffeetables has four teak elements. The frame had a whitewash treatment. Pillows are weather resistant. Evora rectangular XL 5 seat set with two coffeetables. Evora rectangular XL 5 seat set with two coffeetables has four teak elements. The frame had a whitewash treatment. Pillows are weather resistant. This set gives you the Scandinavian feel. The Evora rectangular lounge set comes with a year guarantee.